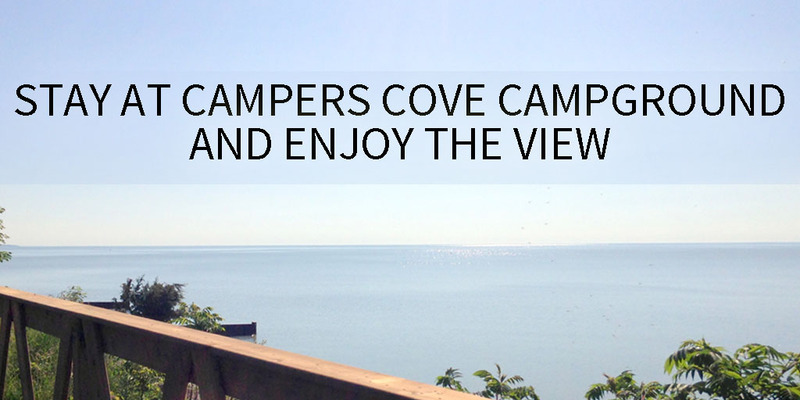 Our Campers Cove train rides are a popular attraction at the campground. 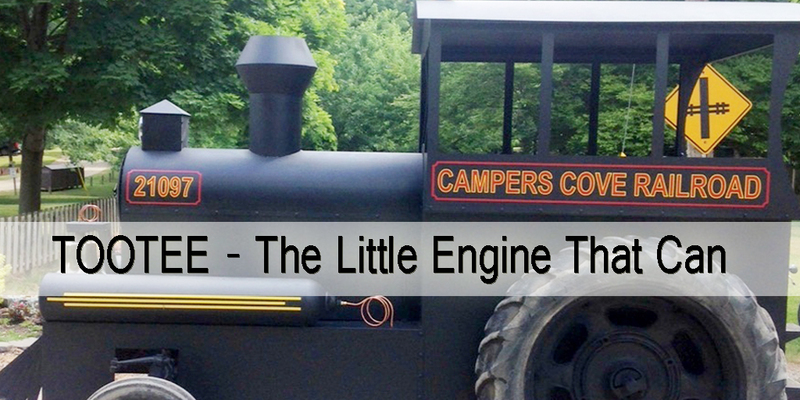 For over twenty-five years TOOTEE has boarded thousands of visitors, big and small, for a journey through the property. 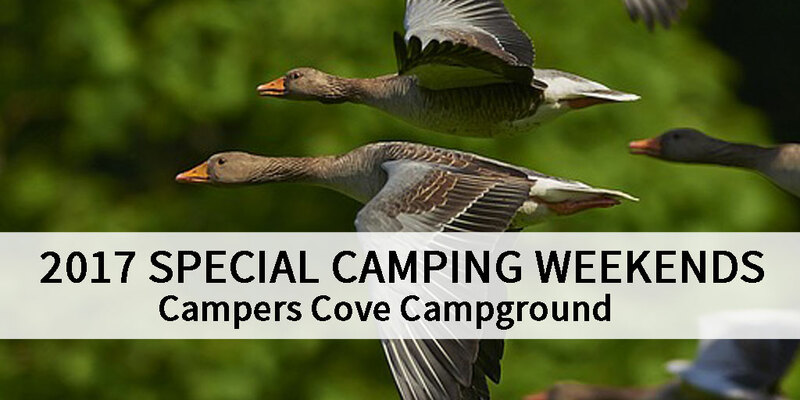 Two to three times a week she picks up passengers creating memories as she goes. 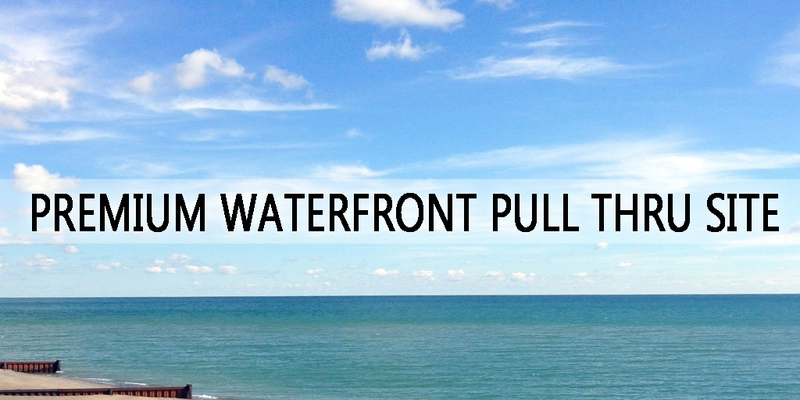 Check out our Premium Waterfront Pull Thru Site! 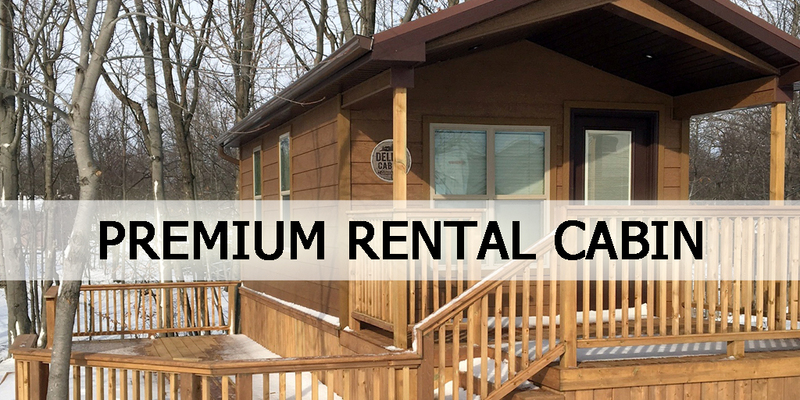 Enjoy our Premium Rental Cabin this camping season. 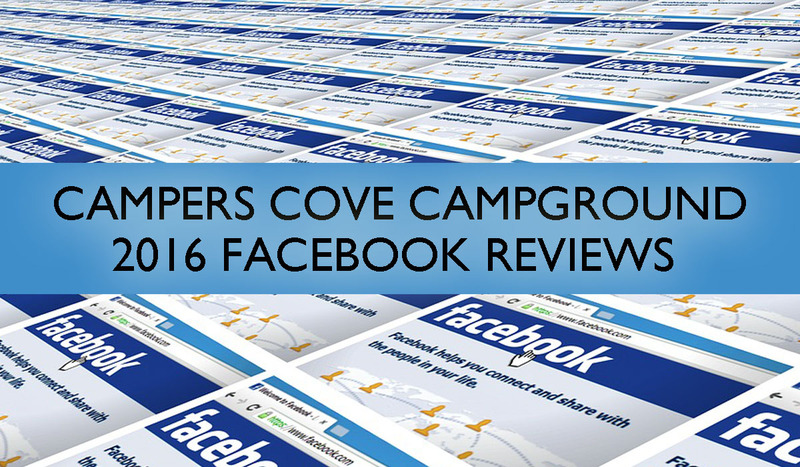 We would like to thank all of our campers for writing these Facebook Reviews! 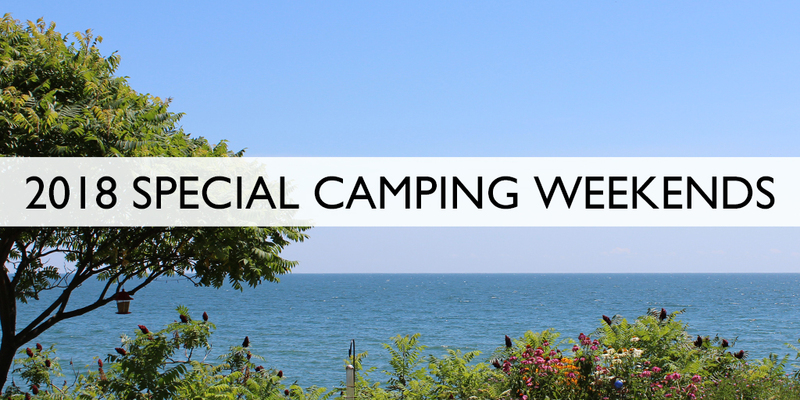 Our campers and Mother Nature have ensured that our 2016 camping season was one of our best EVER!